The PSI-MOS-RS232/FO 1300 E Serial to Fiber Converter transparently connects RS232 devices to fiber optic cable. By transmitting RS232 data over optical fiber, these serial media converters provide an economical path to extend the reach of serial devices. RS232 Serial transmission is limited to 20 Kbps over a distance of only 15 meters (50 feet). Using the FO 1300 E Serial to Fiber Converter you can extend your serial data transmission up to 27km (16.7 miles) over multimode fiber or 45km (28 miles) over single mode fiber. The result is that any two pieces of asynchronous serial equipment, located miles apart, can communicate at half or full duplex over fiber optic cable at rates up to 115.2 kbps. 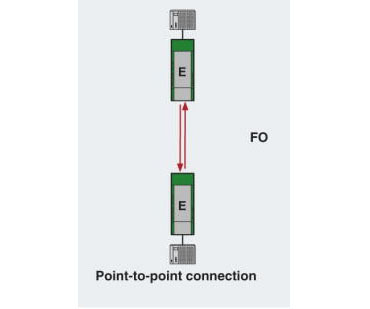 Another advantage of the FO 1300 E fiber optic transmission system is the electrically isolated connection of devices. Electromagnetic interference (EMI) is a common phenomenon in typical environments like industrial plants, warehouses and factory floors. This interference can cause corruption of data over serial or copper-based Ethernet links. Data transmitted over fiber optic cable however is completely immune to this type of noise, thus preventing the negative effects of voltage equalization currents and electromagnetic interference on the data cables. A Serial to Fiber Media Converter therefore enables you to inter-connect your serial devices over fiber ensuring optimal data transmission, increased availability of the system, and improved network design flexibility for point-to-point connections and star structures. The FO 1300 E operates at 1300 nm wavelength, using a separate LED emitter and photo-detector on SC type connectors. Almost any multimode or single mode glass fiber size can be used. Calculating the power budget is critically important with planning the fiber optic link. The optical power budget is the amount of light required to transmit data successfully over distance through a fiber-optic connection. The amount of light energy available within the setup will dictate the length of the fiber optic cable run between serial media converters within the network. Optical power budgets are critical to help businesses avoid signal distortion. To learn how to calculate optical power budget read our technical note. Transmit and receive dBm can be found in the Hardware specifications. Up to ten (10) Serial to Fiber Converters can be grouped together using the TBUS DIN Rail bus system for voltage and data. This allows the serial converter to operate as a star coupler, taking the serial data input signal and distributing it to all Fiber optic output ports. The FO 1300 E are also equipped with comprehensive diagnostic functions to increase system availability, simplify start-up and permanently monitor the optical transmission quality. 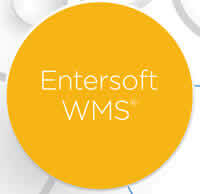 This allows for more efficient troubleshooting and less on-site maintenance. These cost and time saving features, along with free worldwide technical support, make the FO 1300 E RS232 serial to fiber converter the smart choice for IT professionals. You can use two PSI-MOS-RS232/FO 1300 E Serial to Fiber Converters to easily convert a data link from copper cable to fiber optics. You can network RS-232 devices within a star structure as a master/slave network. Depending on the number of star lines required, several PSI-MOS-RS232/FO 1300 E Serial to Fiber Converters are connected to TBUS DIN Rail bus systems for voltage and data. This makes up to 10 fiber optic ports available. Cross-wiring for RS-232 data and for the supply voltage is provided automatically by the DIN rail connector.